The instrumental outfit that outright defined the sound of Philly soul, MFSB were the Philly equivalent of Detroit's Funk Brothers, developing musical palaces out of the rough architecture delivered to them by producers (and for measly wages, no less). While this collection isn't exactly the most definitive one available, it does include some of their most well known hits, including the disco classic "Love Is the Message" and "T.S.O.P," which was originally designed to be the theme music for the legendary Soul Train television program. Their version of Sly Stone's classic "Family Affair" and Curtis Mayfield's "Freddie's Dead" are fan favorites, and the album is rounded out with a few of the group's later career hits. 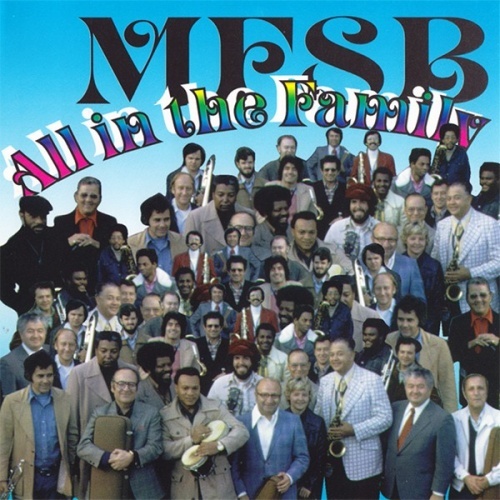 If Sony had only had the foresight to add a few tunes from MFSB's outstanding 1980 release Mysteries of the World, All in the Family could have been regarded as a solid, thorough examination of the band's career.